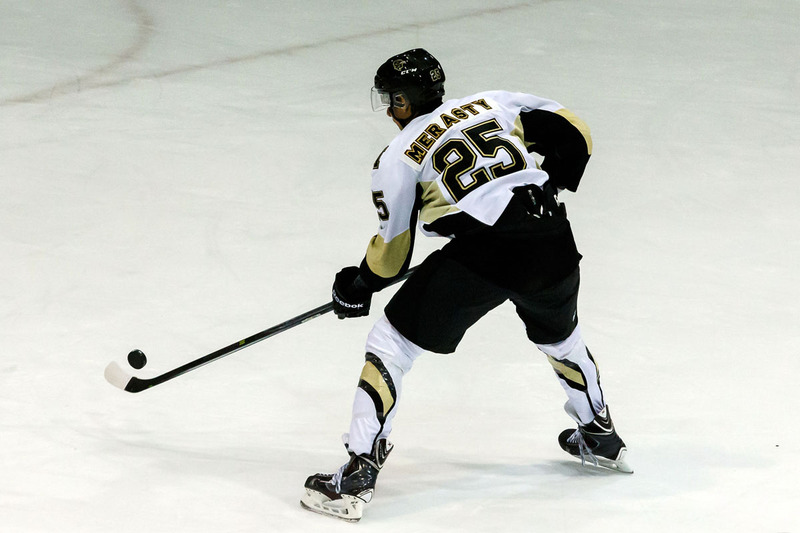 On Friday, Jan 29, the University of Manitoba Bisons men’s hockey team played the first of a two game series against the #10 ranked team in Canada, the Saskatchewan Huskies. The herd lost the opening game 8-3. Saskatchewan scored their fifth goal at the halfway mark of the second, through a powerplay goal from third year forward Josh Roach. The Bisons would get a powerplay goal of their own a minute later from the , Jordan DePape. Another extra-man tally from the Huskies put them up 6-2 going into the third period. The third and final frame saw more scoring from the Huskies, with an unassisted power player marker from . Brett Stovin scored his eleventh goal of the year by adding a shorthanded goal midway through the final frame. Cameron Blair would rub more salt into the wound by scoring an eighth goal with four minutes left in the game. The Huskies were dominant with the man advantage, going three for nine on the evening to help propel them to victory. Bisons and ‘staches and Bears, oh my!